Pantries can become a bottomless, chaotic pit. Sadly, when that happens you might as well throw money in the garbage because you end up tossing so much food in the garbage due to expiration. 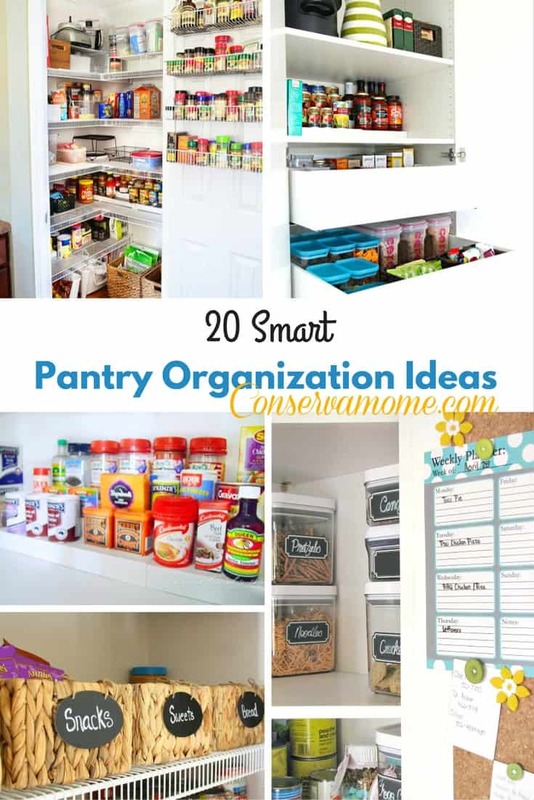 So I’m here to help you organize the chaos with 20 Smart Pantry Organization Ideas that will help kick the clutter to the curve. The following pages have some fantastic organizations and systems to help you make any space organized, neat and most important help you save money because you’ll know what you need,have or want to get. Enjoy! Oh wow what a huge list! This will take me a while to peruse, but we really need to get this done here. We’ve eliminated a lot of junk foods and the healthier things have taken over… its sort of a mess. I have so much work to do. This pantry organization is amazing. When talking about cleaning and organizing, my pantry is the most forgotten! 🙂 These pantries look great! Makes me wish I had a bigger pantry. Great Ideas for my small kitchen! Once we move into our new house ill need to do this my last pantry was 20ftx7ft and our new house is only about a quarter ? I love this! One of these days, really…my kitchen will be super organized! I love to organize and these are some really great ideas! Wow! This list is much needed. We have been talking about creating some sort of system for our pantry for a while. I’ll save this for a colder weather project. These cupboards look great — I want mine to look just like this. I wish my pantry was organized. It’s on the big to do list. Thanks for the ideas.